In his Every Day In May series, GARY STEEL digs up pieces of our rich musical tapestry. [Translation: stories he’s penned over the past 40 years about NZ music]. The Patea Maori Club and their retinue are sprawled across Wellington’s Pigeon Park on an unusually warm and sunny Spring afternoon, chowing down on a super-sized supply of Kentucky Fried Chicken, and checking out the natives. It’s a rich, incongruous scene; riding a wave started by the unexpected success of the single ‘Poe E’, the Patea Maori Club are huge stars, and here they are, sprawled out on a patch of grass running between Manners and Ghuznee St, inadvertently displaying their impeccable street cred. 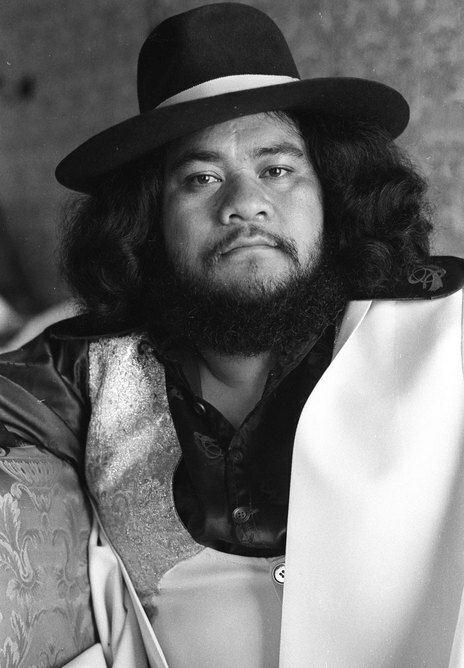 Later that evening, Dalvanius and the Patea Maori Club will appear at the 1984 NZ Music Awards, where they will perform to stuffy bow-tied industry types and their gleaming, overdressed wives, and walk away with the Best Polynesian Album award for Aku Raukura. The award seems insultingly token in light of the group’s achievements earlier that year. ‘Poi E’ had been released in 1983 to indifference from radio, and the public only heard about it when a television current affairs item was shown in early ’84. The song was a rollercoaster, shooting to number one and staying there for four weeks; it was the best-selling single here that year, beating out all international contenders for the top spot commercially, and in our hearts. Radio still wouldn’t play it. That the song – sung entirely in Te Reo Maori – achieved success without any industry support was miraculous in itself, but its cultural cache began to expand when it started reaching into every corner of NZ as a key break-dancing anthem. The US hip-hop-derived dance form had just taken off here, and you could find kids practising their moves all over the show. ‘Poi E’ was a way to infuse some Maori culture to an otherwise imported craze. Meanwhile, international arbiters of taste were much quicker to pick up on the sheer joy of ‘Poi E’ than our own racially blinkered radio programmers: it was Single Of The Week in New Musical Express, which at that time was a highly regarded but acidic post-punk organ, and for the next two years, the Patea Maori Club toured the world on the back of their hit. Unfortunately, however, ‘Poi E’ was to prove unrepeatable. 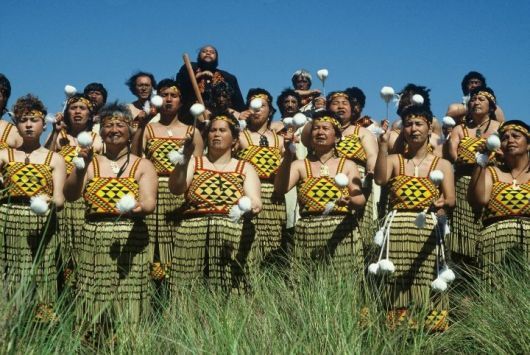 A short-lived stage show was created around the hit in the early-1990s, but Patea Maori Club’s producer/leader, Dalvanius Prime, wouldn’t be around to see the extraordinary revival of the song in 2009 when it was featured in Taika Waititi’s debut feature, Boy. He died in 2002, having fought a two-year battle with lung cancer. Only 54 at the time of his death, Dalvanius Prime was already a veteran of the entertainment world when ‘Poi E’ hit the big time. Raised in the small Taranaki freezing works town of Patea, by 1969 he had headed off to Australia, where he successfully worked a cabaret act featuring brothers Eddie and Timothy, and sister Barletta. Throughout the ‘70s, Dalvanius and his Fascinations would occasionally hop back across the Tasman to grace our nascent music TV programmes with their sweet soul sounds. A decade after he left NZ, however, inspired by a curiosity for his roots, Dalvanius returned to his home town for good, started taking lessons in Maori language, and formed his own music imprint, Maui Records. The first single, ‘Maoris On 45’, was modelled after the successful ‘Stars On 45’, a Dutch fad in which fragments of popular songs were stitched together with a relentless disco beat. It got to number 4 on the charts, but never attained classic status. Two factors helped to form the right conditions for the creation of ‘Poi E’: In 1982, the Patea freezing works was closed, leaving disaffected youth without a rudder. Dalvanius mentored a music group created out of the rubble of the unemployed freezing workers, and renamed them the Patea Maori Club. He also met composer Ngoi Pewhairangi, whose ‘E Ipo’ had met considerable success for another Maori legend, Prince Tui Teka. 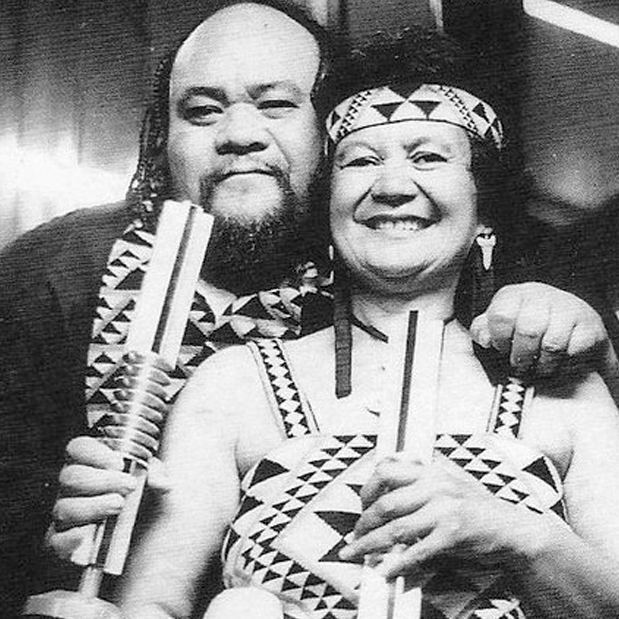 Already in her early 70s (she died in 1985), it was Pewhairangi who wrote the song that took the Patea Maori Club to the top. But that’s not all. Great songs always seem to have many diverse contributions and synchronicities, and the final single wouldn’t have been what it was without the session musicians who played on the date at Auckland’s Mascot studios, reportedly including former Spacewaltz leader Alastair Riddell, studio boffin Stuart Pearce and Tama Renata, who would go on to play the distinctive guitar lines in the theme to Once Were Warriors. * This piece originally appeared in a slightly altered form in a national newspaper in 2010. Check out Murray Cammick’s full profile of Dalvanius Prime on Audioculture.